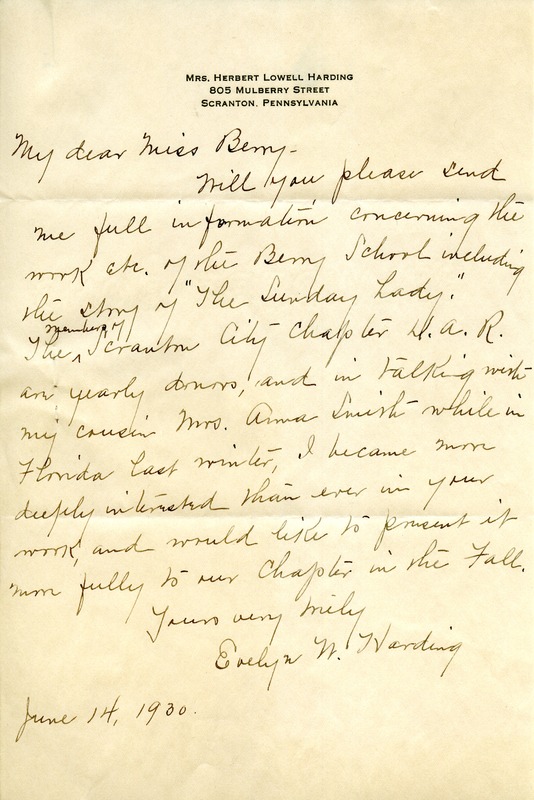 Mrs. Harding writes to Miss Berry to request more information on the work of the Berry Schools including a copy of "The Sunday Lady" so that she can present the information fully to her chapter of the DAR (The Scranton City Chapter) in the fall. Evelyn N. Harding, “Letter to Martha Berry from Evelyn N. Harding.” Martha Berry Digital Archive. Eds. Schlitz, Stephanie A., Chelsea Risley, Sherre Harrington, et al. 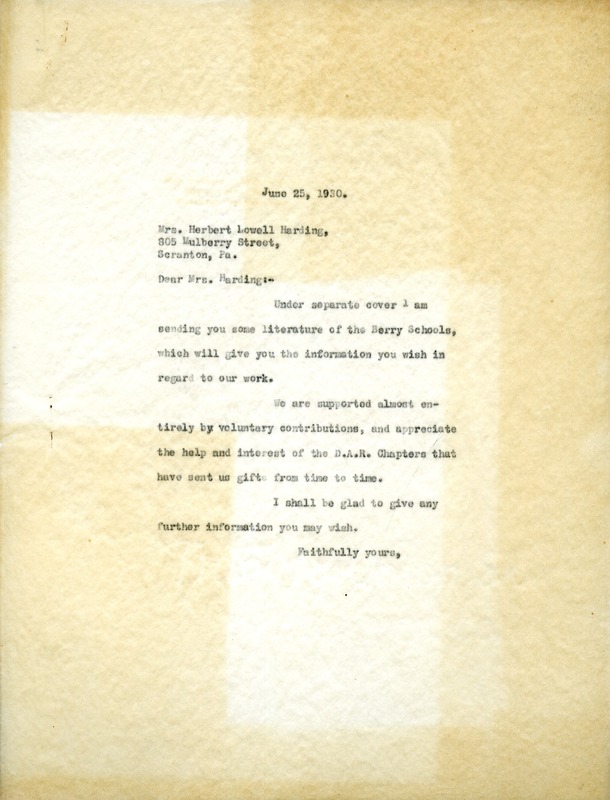 Mount Berry: Berry College, 2013. accessed April 25, 2019, https://mbda.berry.edu/items/show/12768.